You’ve got all your ingredients laid out. The blender is whirling. And you’re waiting patiently with spoon in hand. 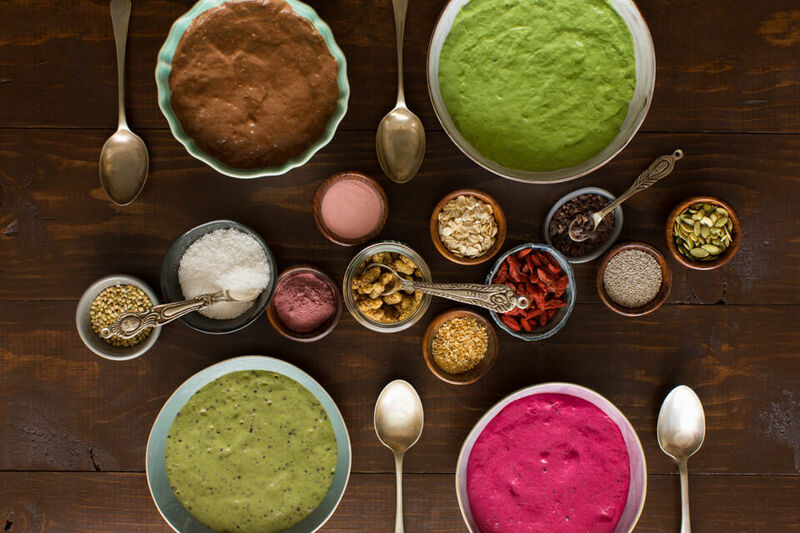 Your smoothie bowl base probably looks amazing and is most definitely worthy of a couple quick photo snaps. But, wait! Your smoothie is naked! It’s time to play dress up! If your first inclination is to go to topping-town and imitate all those superfood-loaded Instagram smoothie bowls, hold up! There’s a way to include smoothie bowl toppings so that your bowl is delicious, satisfying, pretty to look at, and won’t break the calorie bank! Yes, even “super” foods can promote weight gain!